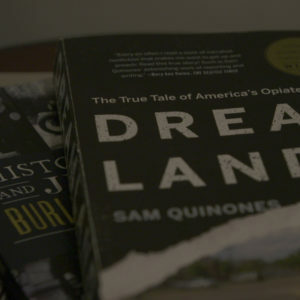 Nigel Bowe sits behind his desk and remembers the trouble he used to get into as a 14-year-old in Hampton, Virginia in the 1970s. “I was kind of straddling the fence,” he says. He was hanging out with the wrong people, in the wrong places, doing things he shouldn’t have been doing. Bowe’s behavior could have led to a number of negative consequences, including arrest and incarceration. But he was lucky—a football star with rising aspirations to play in college and later the NFL, Bowe was surrounded by coaches and other adults who mentored him and kept him away from harm. The NFL career didn’t pan out. But Bowe’s second dream—to mentor other young people and help them realize their full potential—is still alive and well. Bowe is program director for The Choice is Yours (TCY), a felony diversion program in Philadelphia that channels young people arrested for drug possession with intent to distribute away from jail and into education and job training services. 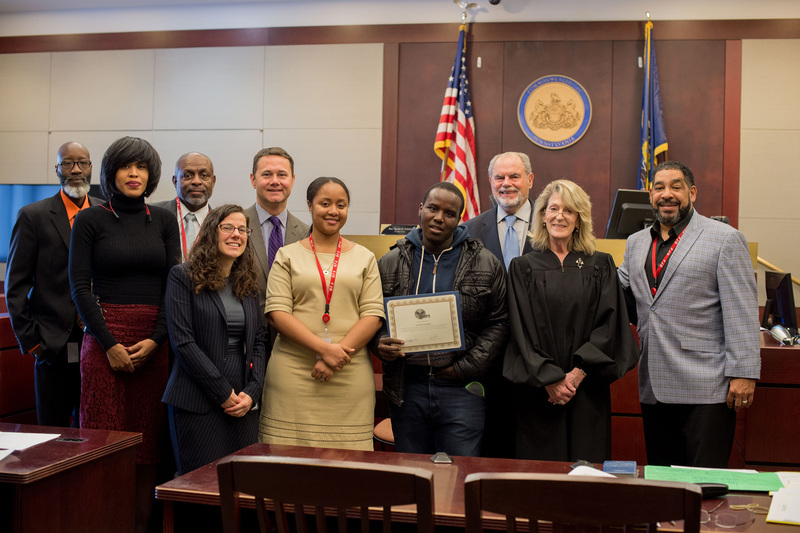 Developed by the district attorney's office in partnership with the public defenders, TCY is available to people—mostly young men between the ages of 18 and 24—arrested on their first offense. Without TCY they would be facing a range of sentences, typically from 18 months’ probation to two years in custody. Conviction would come with a permanent felony record—making employment, housing assistance, and other social services difficult to obtain on release. Bowe is an employee of JEVS Human Services, the social service organization that administers TCY and works with program clients. But he is also part of a larger support system—a family, as they call themselves—that is deeply committed to ensuring the young people entrusted to them are kept away from incarceration and instead afforded the skills necessary to successfully navigate life. "We want to create an atmosphere that’s caring, that’s loving, that’s trusting, and that’s loyal to our clients." What happens when mentoring takes the place of punishing? On a crisp morning in late November, the TCY courtroom at Philadelphia Municipal Court is packed with predominantly young black and brown men—and a few young women—waiting to appear before the judge. Some are chatting with their neighbors, others are laughing, and still others are sitting with a nervous intensity as they wait for the judge to call their names. A number of them are holding babies or toddlers—rocking them to sleep and soothing their fusses—as the clerk calls repeatedly for quiet in the court. Many of these young men are current TCY participants, waiting for their check-ins with presiding Judge Marsha Neifield. Others are new arrestees, referred to the program by the Philadelphia district attorney and waiting to announce their commitment to TCY enrollment. 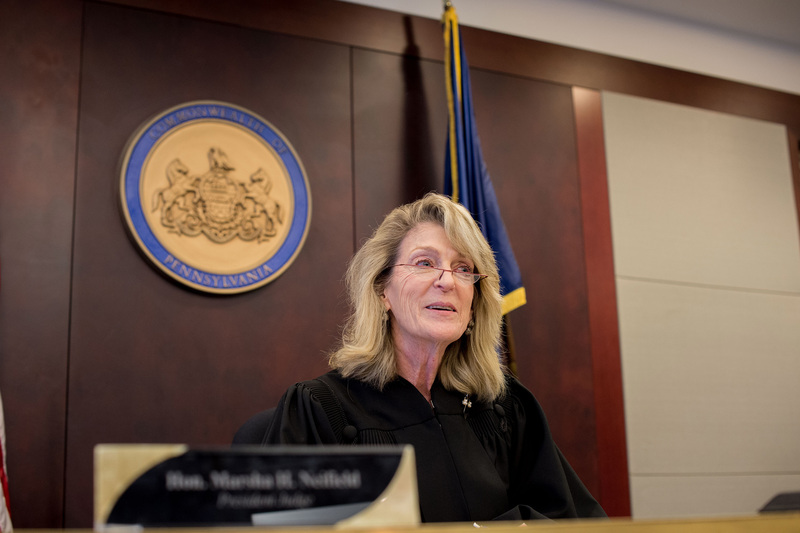 Judge Neifield looks down from her bench and greets participants by name. She asks about their mothers in the hospital. Or their children. Or their new jobs. She requires explanations for why they haven’t completed their community service hours. Or she praises them for their enthusiasm and effort in accomplishing certain milestones. Some of the check-ins go smoothly. Others are more difficult, and participants struggle. They’re dealing with all of the circumstances faced by people who are fighting against poverty: some are the sole caretakers of their family members, others are too poor to pay their phone bills and can’t afford the required check-in calls to JEVS, still others are having trouble finding affordable transportation to work. Poverty and instability are major components of the lives of many TCY participants—factors that led many to commit crimes in the first place. Judge Neifield listens and she contemplates. Sometimes, when participants are falling behind on their responsibilities, she issues a sanction: say, a 500-word essay on what life would be like in jail. Other times she simply chides them and tells them she expects to see more at the following check-in. In one moment, she allows a young man to approach her bench personally, together with the district attorney's representative, public defender, and Bowe at his side, to explain in private that he is struggling with homelessness. Bowe calls Judge Neifield “the Mother of TCY,” in part because of the time she spends getting to know each client, understanding their circumstances, and making sure they stay on track to graduate from the program. Bowe and JEVS’ TCY case managers are at every court hearing. They make sure participants are completing their community service hours and attending the job training classes. They also conduct home visits, and help clients to find child care services, apply for benefits, and prepare for job interviews—including providing professional attire if necessary. “We become their family, their support system,” says case manager Shakeeda Chisolm. This is made all the more evident when, at orientation for new program cohorts, Bowe asks participants directly if they have someone in their life who can support them as they work through the program. Not everyone raises a hand. Where incarceration divides individuals from their key pillars of support—community and family—TCY seeks to unite them. The fact that a number of TCY participants do not have support systems in place is an indication of the larger obstacles faced by communities fighting poverty, racism, and over incarceration. These three things go hand in hand, and in poor communities of color that are plagued by over policing, the ties of both family and community are regularly broken by the justice system. In this punitive environment, even small stints in jail can have significant consequences for the health and stability of individuals, families, and communities. According to program leaders, poverty and instability are major components of the lives of many TCY participants—factors that led many to commit crimes in the first place. Despite this, people who participate in TCY have been remarkably successful following program completion. Eighty-eight percent of enrollees—nearly 400 since the program’s inception in 2012—will eventually complete the program. Only 14 percent of the program's initial graduating cohort was convicted of a new crime within the following three years. For non-participants, 72 percent had a felony conviction within a year of opting out of the program. In some ways, TCY can be seen as the system correcting itself. Where incarceration divides individuals from their key pillars of support—community and family—TCY seeks to unite them. As head of diversion programs for the public defender—in a city that runs over a dozen such programs—Cotter’s workload can seem hectic. And yet, twice a month when the TCY courtroom convenes, Cotter is there in person to provide support for TCY clients. His personal involvement creates a lasting bond with many of the people he serves. Long after graduation, clients still stroll into his office to shoot the breeze and update him on their jobs and family. Sometimes the sheer volume of these encounters can be overwhelming. An avid runner, Cotter admits that he wears his sunglasses as part of a daily jogging routine in the city—without them, he can’t make it a single block without being stopped by a former client looking to say hi. Bowe maintains similar relationships with former participants. On his office wall—amid several photographs from his college football days—is a portrait of one former participant, also in uniform. Because of TCY, the young man was able to pursue his dream of joining the military, and now lives in Kentucky with his fiancée and daughter. The jail system in Philadelphia—where some of these young men would be if they had been convicted—is a disparate set of buildings on State Road that snakes along the western edge of the Delaware River. (In Pennsylvania, all jails are labeled as “prisons.”) Philadelphia has one of the highest incarceration rates among large jurisdictions in the country, and the average length of stay for a person awaiting trial is 87 days—almost four times the national average. People of color make up 88 percent of the total jail population, despite being only 54 percent of the city’s general population. While the city continues to grapple with these challenges, it is making progress. 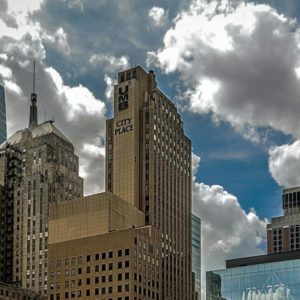 Philadelphia has invested $2 million in criminal justice reform over the last several years, and received a $3.5 million grant from the John D. and Catherine T. MacArthur Foundation’s Safety and Justice Challenge to reduce its jail population. Thanks in part to the grant from MacArthur, the city has reduced its jail population by 19.6 percent over the last two years. By the end of 2018, it hopes to cut the population by a total of 34 percent. The cost of incarceration plays a significant role in the city’s desire to decrease the number of people in its jail. Philadelphia spends more money on its jail system than it does on any other city service apart from police and human services—devoting around six cents out of every tax dollar to its corrections budget. Riker works actively to make this a reality. He’s donated many of the suits available at JEVS’ office for participants that need professional attire. On some occasions, he’s personally driven clients to job interviews. TCY clients have obtained jobs in the hospitality, construction, information technology, and medical assistant fields. But TCY does more than help people gain employment and remain connected to their communities. It also helps them to see their own potential. Once they graduate from TCY, “[a] person’s whole attitude about themselves has changed,” Cotter says. The TCY graduation ceremony typically occurs twice a month in the same courtroom where other TCY cases are heard. It’s the first event on the docket—complete with a certificate presentation, a few words of wisdom, handshakes, and—of course—photos to document the celebration. And in the periphery of these graduation photos? You’ll see Bowe, Neifield, Cotter, and Riker—holding the TCY family portrait together. *As of January 5, 2018, Derek Riker is no longer employed by the Philadelphia District Attorney's Office, due to the change in administration.